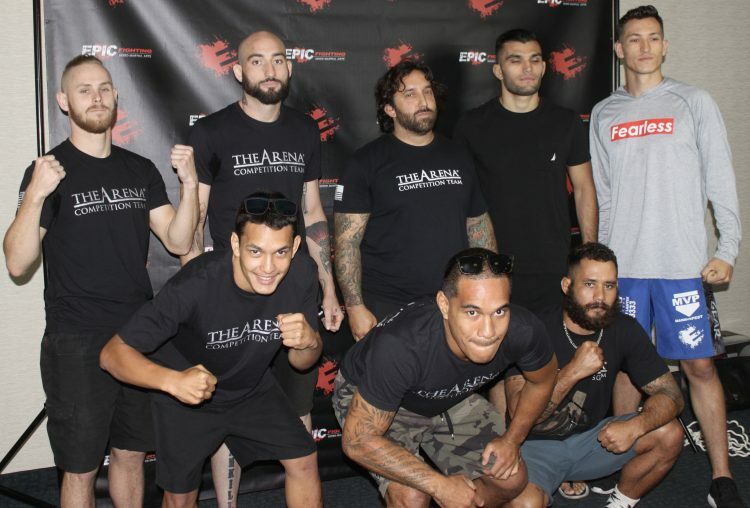 Team to beat: When it involves a Mixed Martial Arts competition in southern California, you can be sure the team from The Arena Gym in Point Loma will be challenging for top honors. 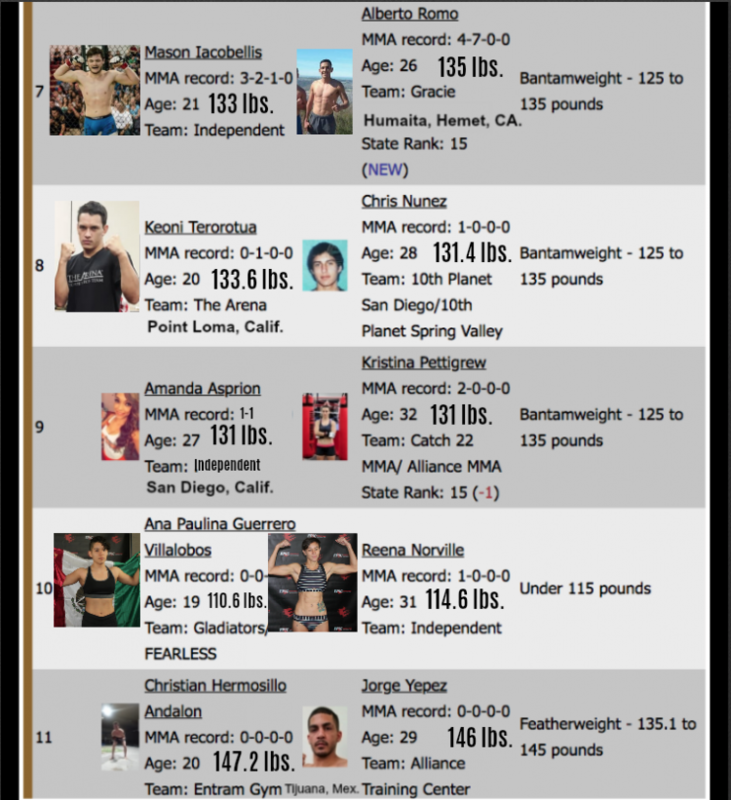 Do you consider yourself an expert as far as knowing the future Mixed Martial Arts talent in Southern California? 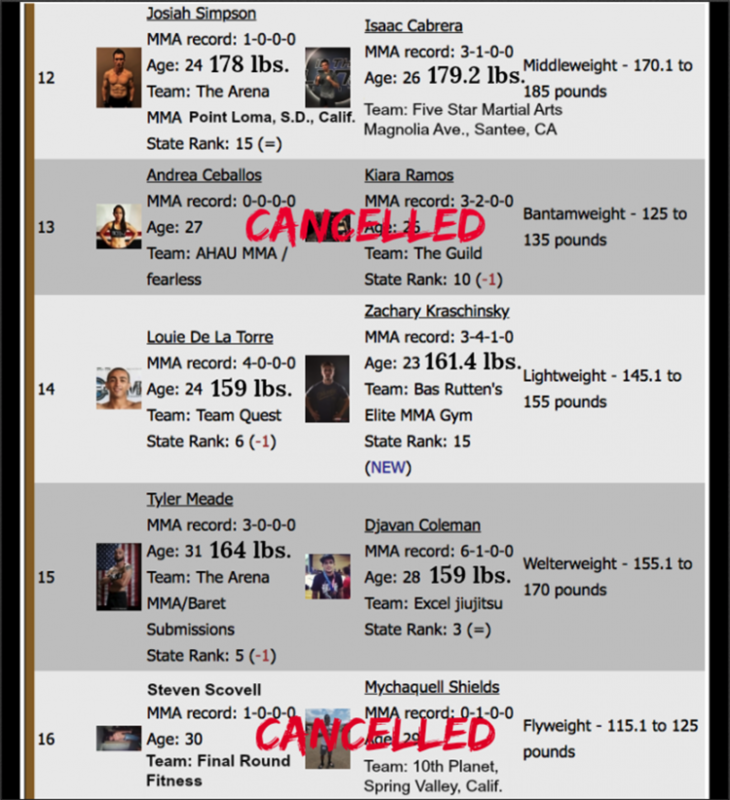 Well then, you shouldn’t have any problem matching the weigh-in photos below or matching the fighters’ thumbnail snapshot with their accompanying name and record. 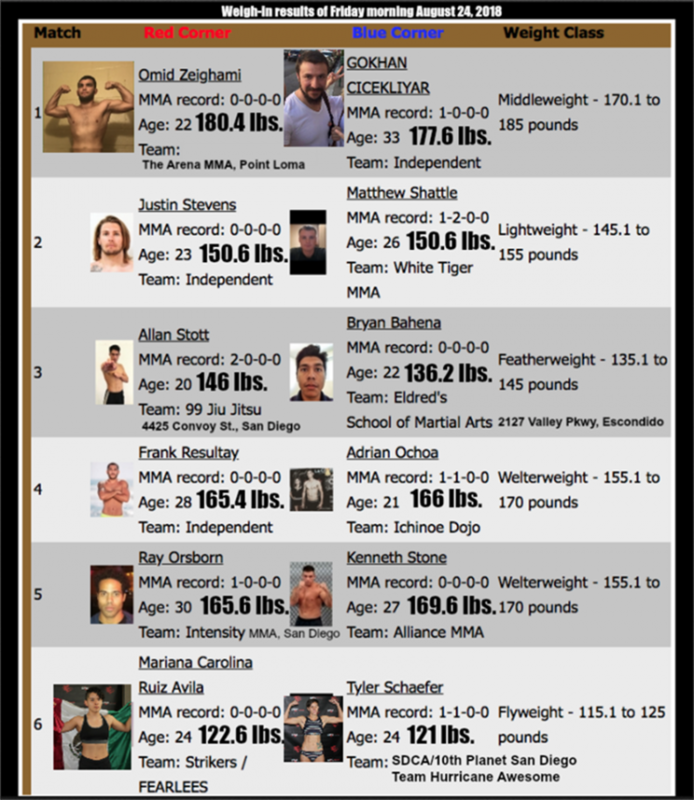 If you can do so, then perhaps you should be a scout and help the big boys, Bellator MMA and the UFC, as a scout. 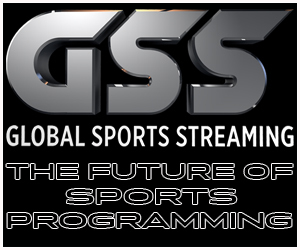 Go on, see how you do. 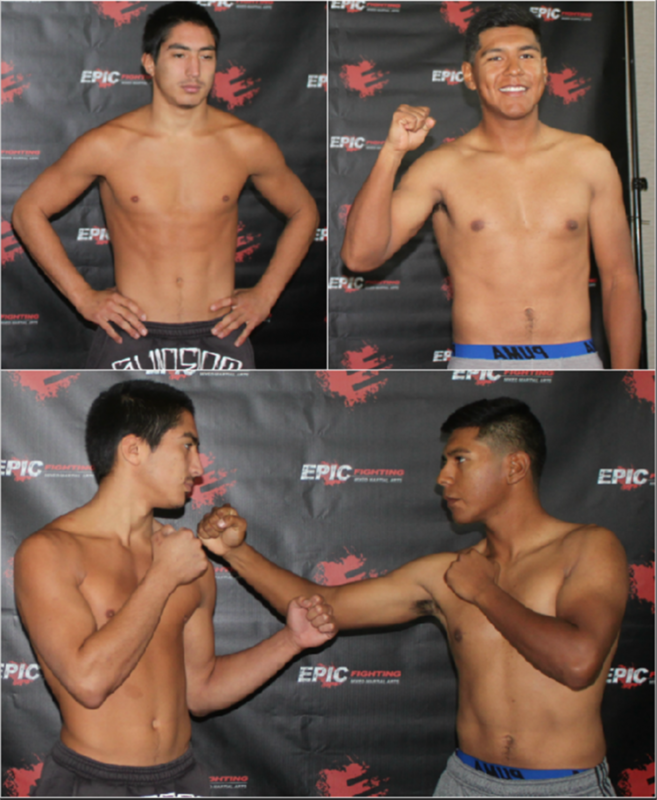 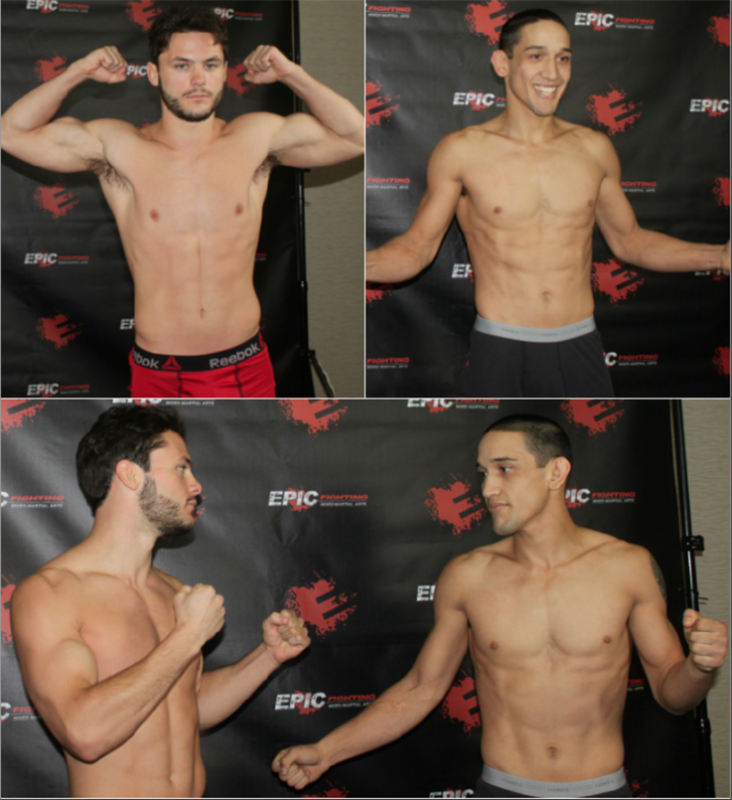 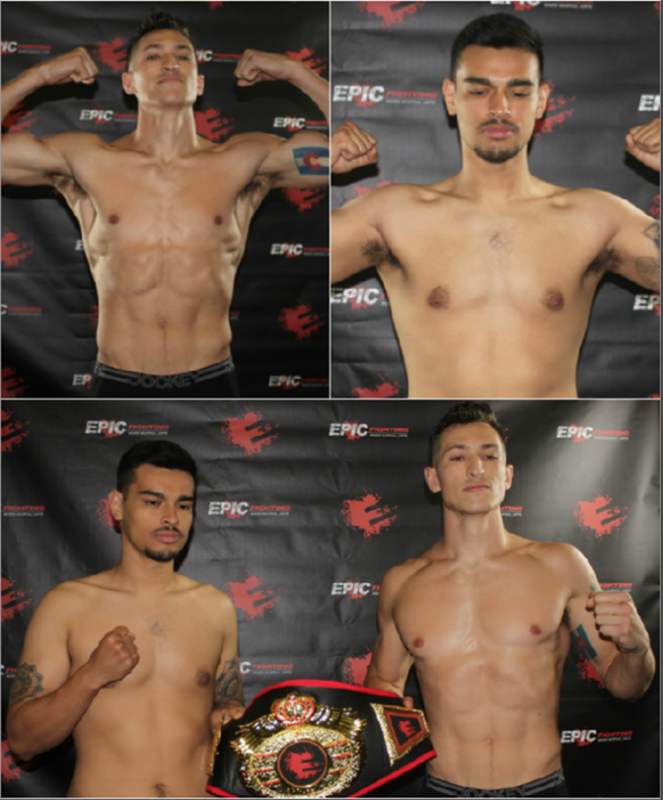 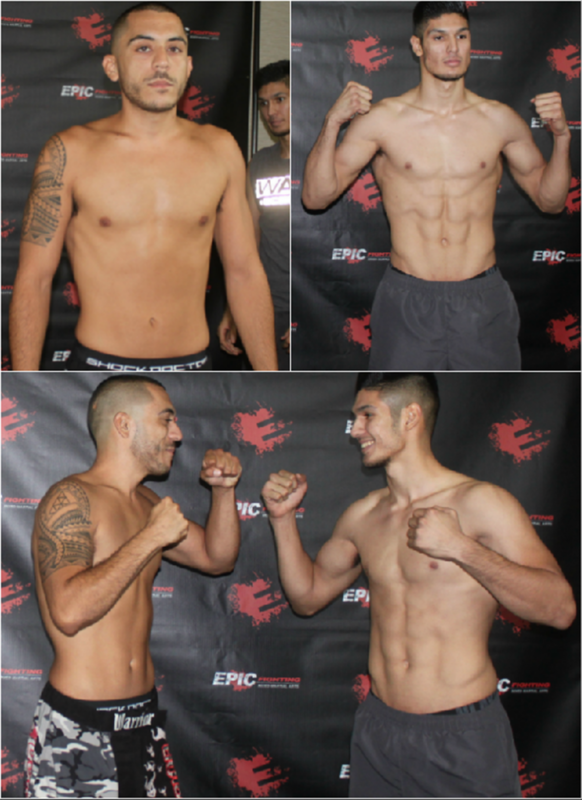 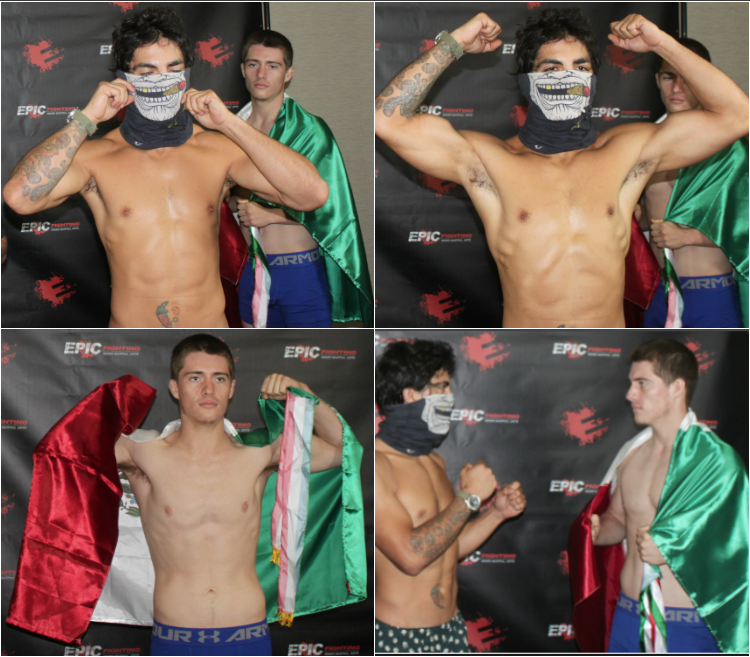 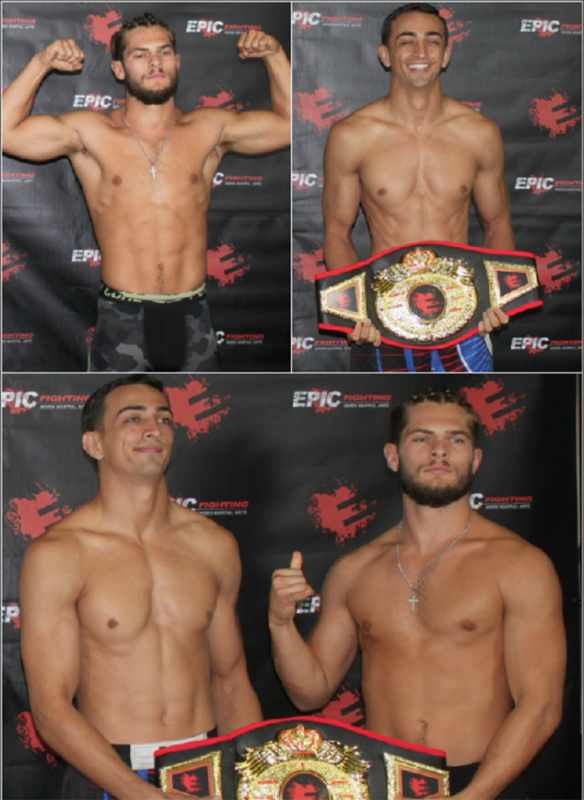 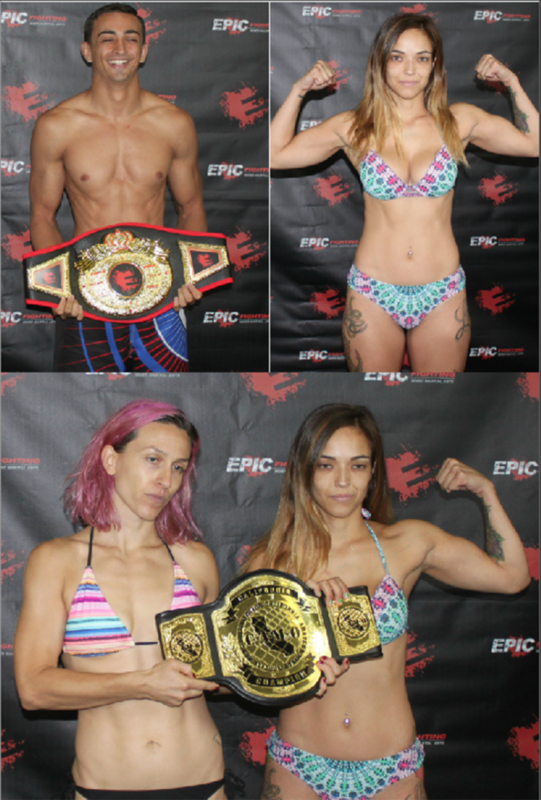 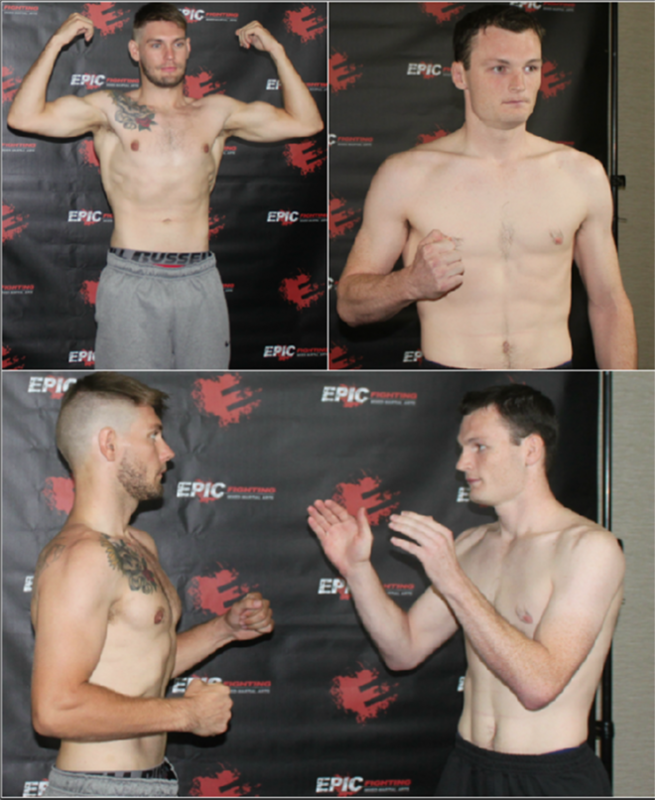 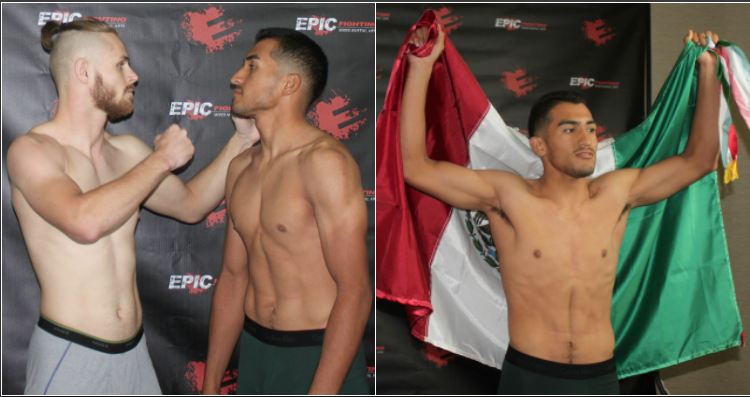 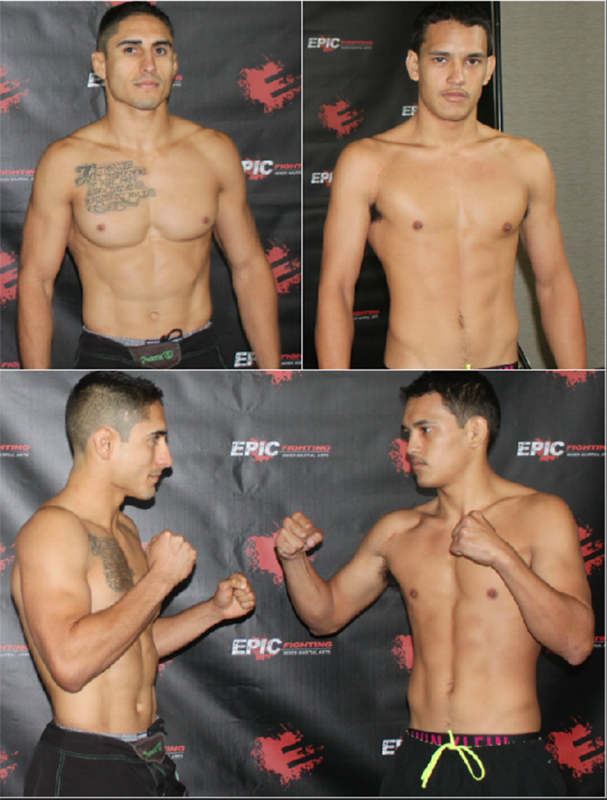 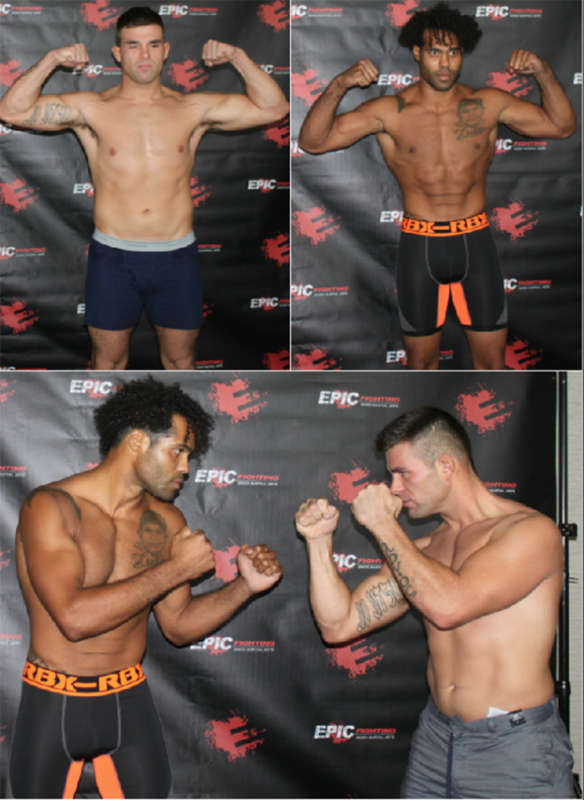 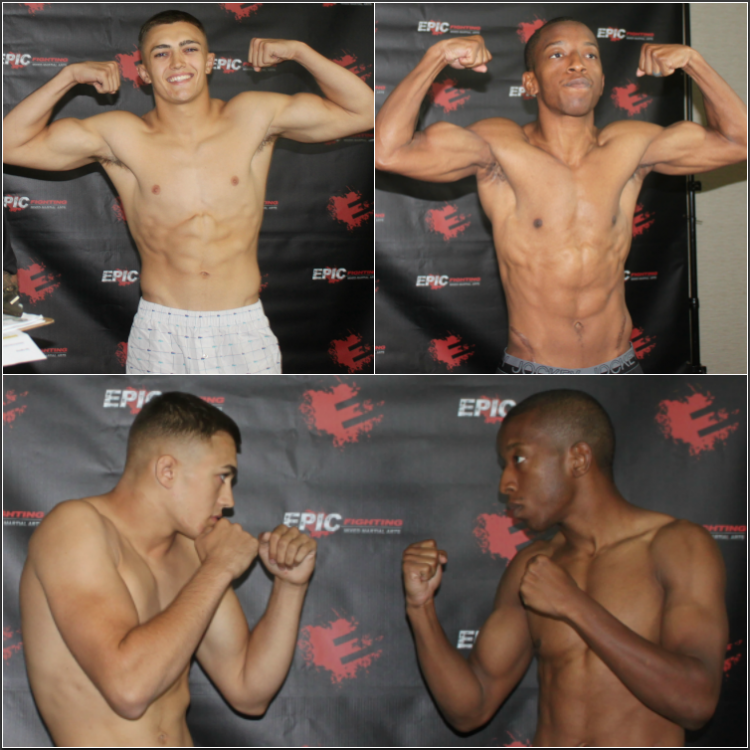 After publishing the Epic Fighting 39 line-up/bout sheet on Wednesday night, August 22nd, several changes were made in their line-up which we have now included with the photos taken at the Friday morning weigh-ins. 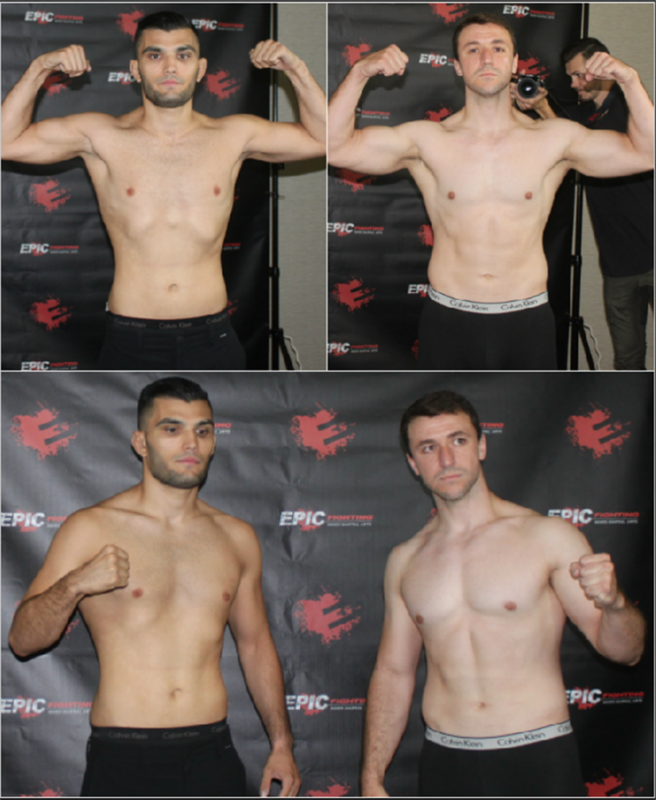 Note well: It appears some of the fighters are getting a special dispensation because of their long-distance travel. 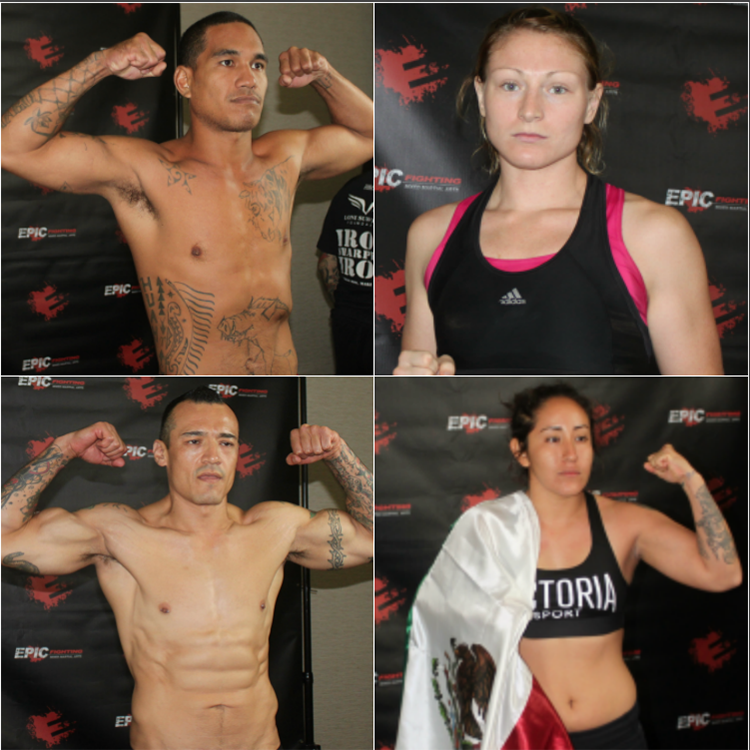 Such was the case for four male fighters plus Maria Jose “Leona” Favela a.k.a. 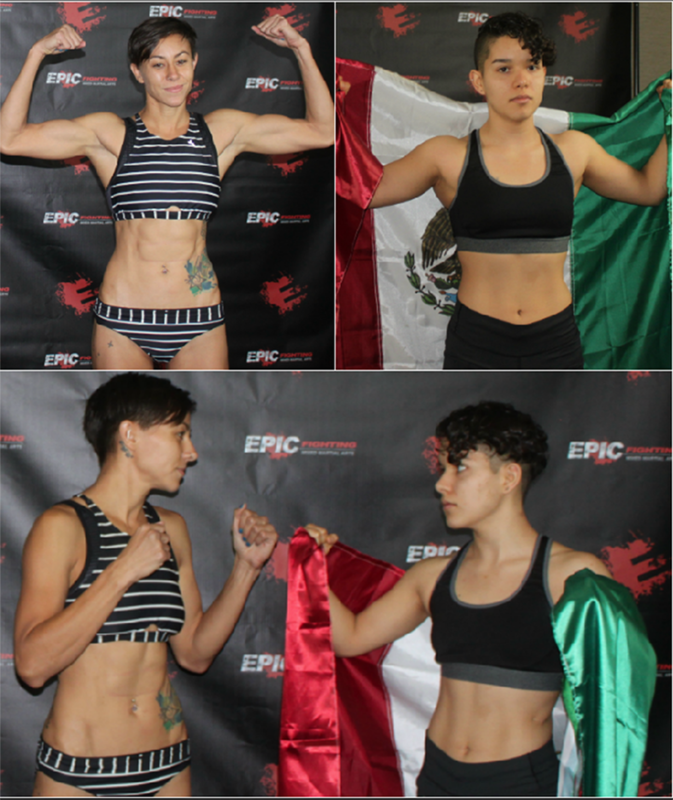 Majo, who was still in travel as of Friday morning from Mexico City on a flight to Tijuana and then was to travel by car to the Four Points By Sheraton Hotel. 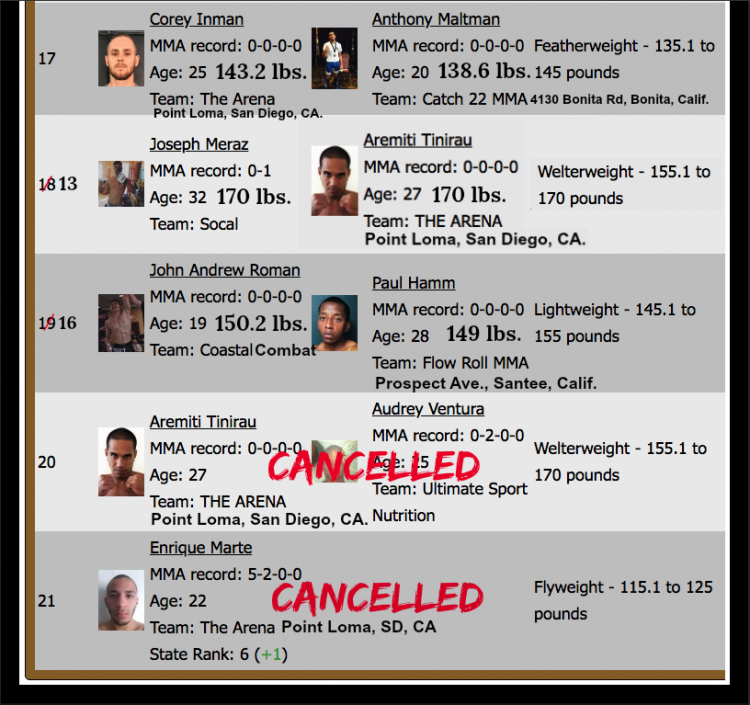 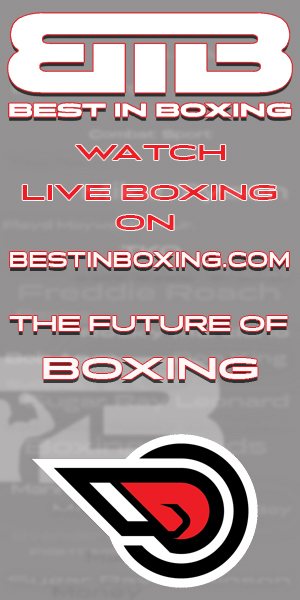 Regardless, there appears to be a record number of bouts scheduled to take place on Friday evening.